What is OM and how has it evolved? 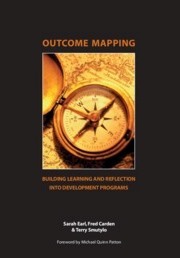 The Outcome Mapping manual was published in 2001. While still the go-to document for the basics on Outcome Mapping, the implementation and adaptations that individuals and groups have made with Outcome Mapping around the world on a gamut of different initiatives and programming provides a wealth of useful information for practitioners. The OM Practitioner Guide aims to bring together all of these tips, tricks and nuggets in applying OM that have occurred since the manual was published. The key audience for the OM Practitioner Guide is OM practitioners and facilitators that ideally have already read the manual and / or attended a training; they have already decided that OM is right for them and they want to use it, or already have begun to use it and would like guidance and ideas on activities, formats, specific tools or other adaptations of the methodology. The OM Practitioner Guide will build on the original manual to provide concrete examples of complexity-oriented planning, defining and monitoring results, and planning evaluations. The OM Practitioner Guide is an ongoing collaboration amongst all OM Practitioners. The majority of content (nuggets) of the OM Practitioner Guide is in English; we encourage practitioners to contribute in other languages. The Practitioner Guide is edited by Kaia Ambrose and Steff Deprez with contributions from Terry Smutylo. Produced by Simon Hearn. All content in the Practitioner Guide and accompanying Nuggets are licensed under a Creative Commons Attribution-ShareAlike 4.0 International License. Nuggets are shared by OMLC members for the benefit of all. Please respect this by crediting the content to the relevant author or, if in doubt, to the OMLC.